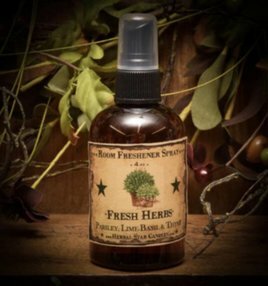 The Fresh Herbs Room Spray is a refreshing blend of parsley, lime-basil, & thyme. It smells very herbal, but with the freshness of a greenhouse & the garden. It’s become the perfect scent to use around the home, especially in a kitchen.